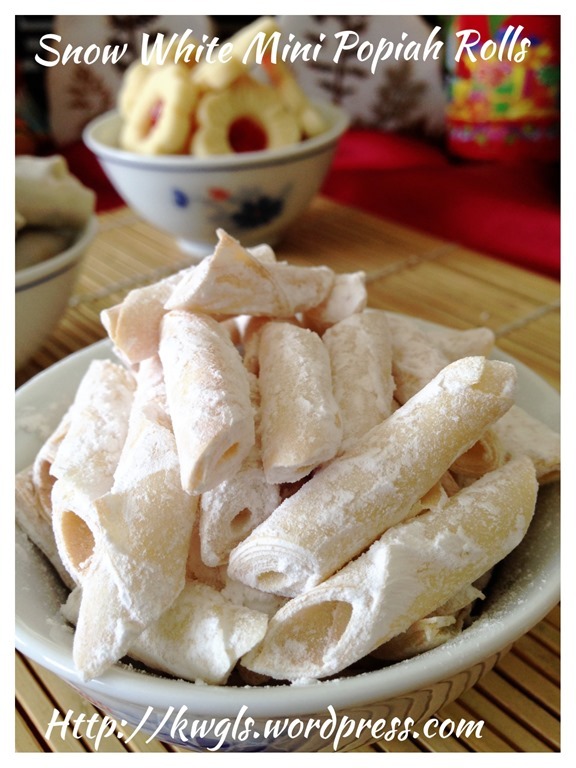 I have seen these cookies year’s ago but I do not know the name of the cookie. In fact, I have a hard time to get the right name for this cookie and until now, I am still puzzling. 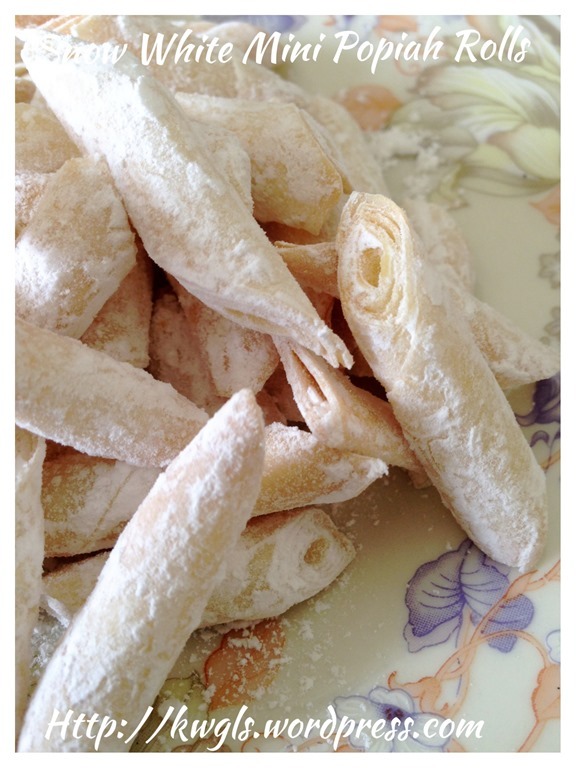 As such I have decided to name this cookie as “Snow White Popiah Mini Rolls” since it was dusted with sugar powder. 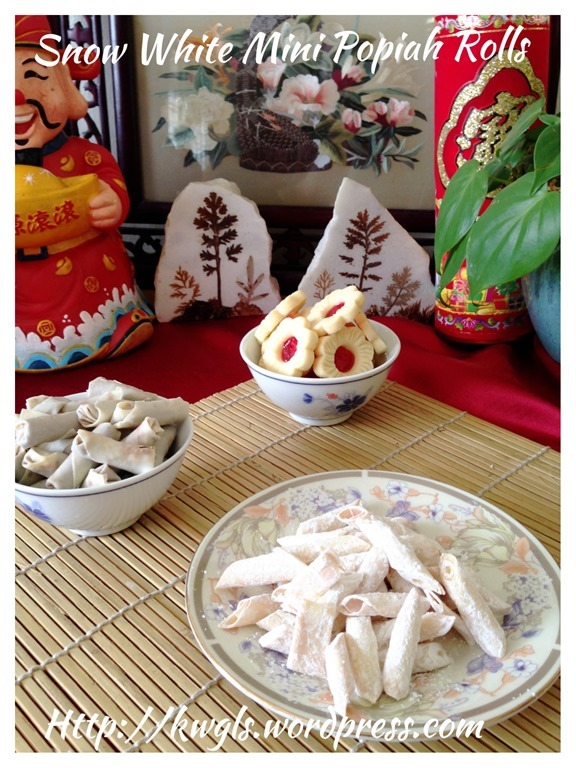 This is a Chinese New Year goody without any history or background to write.. 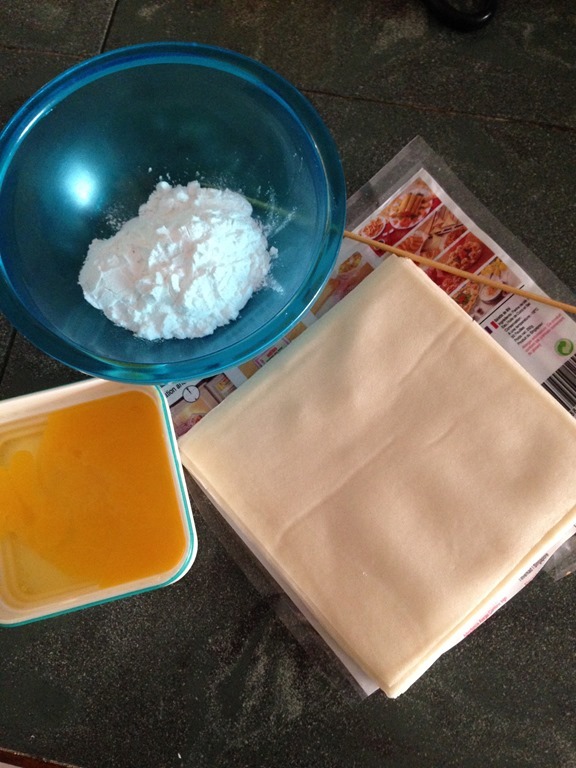 It is extremely simple with only two ingredients. You can either deep fried in hot oil, oven baked or air fried. For the sake of recent health trends, I have decided to select oven baked method and the taste will not be compromised much . Some beaten eggs for sealing . 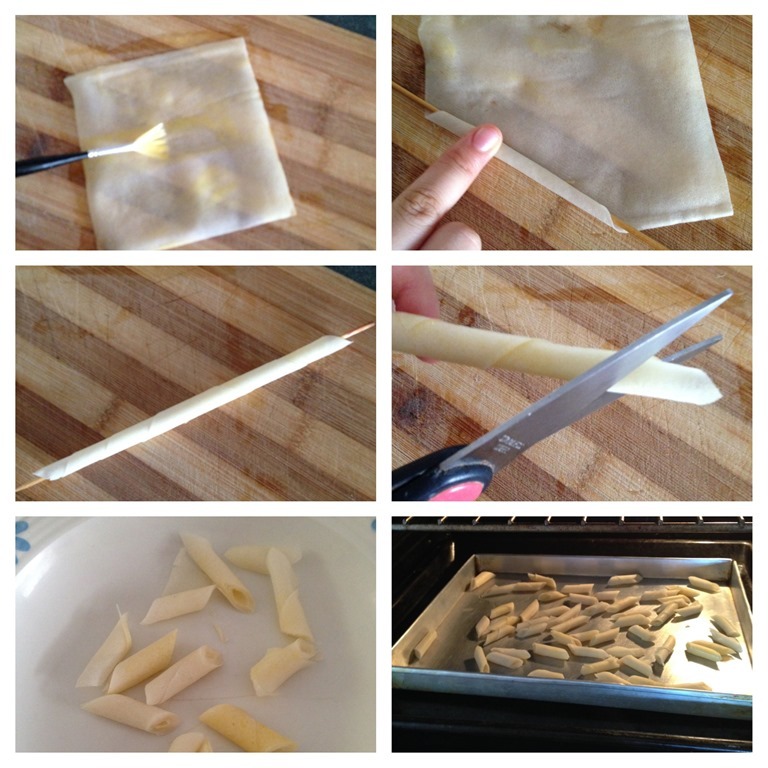 Brush the spring roll pastry generously with beaten eggs. If you want some egg fragrance, use whole egg and the colour will be darker. If you want it to be very white, you can use 100% egg white. Put a satay stick at the corner of one end and gradually roll up as tight as possible. Take out the satay stick and start rolling the next piece. once all the pieces are done, use a scissor to cut into 3 cm length in your desired pattern. Bake in the pre-heated oven of 150 degree Celsius for 15-20 minutes or until crispy. Give it a quite stir in every 5 minutes to ensure even browning. (Note: If preferred, you can deep fry in a pot of hot oil using medium heat until your desired colour tone). 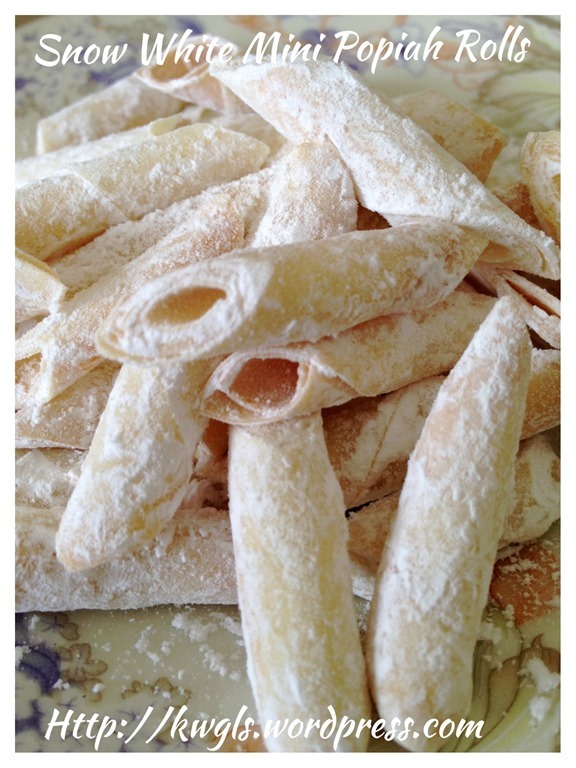 When out of the oven, place these rolls in a bowl of icing sugar and coat it as evenly as possible. 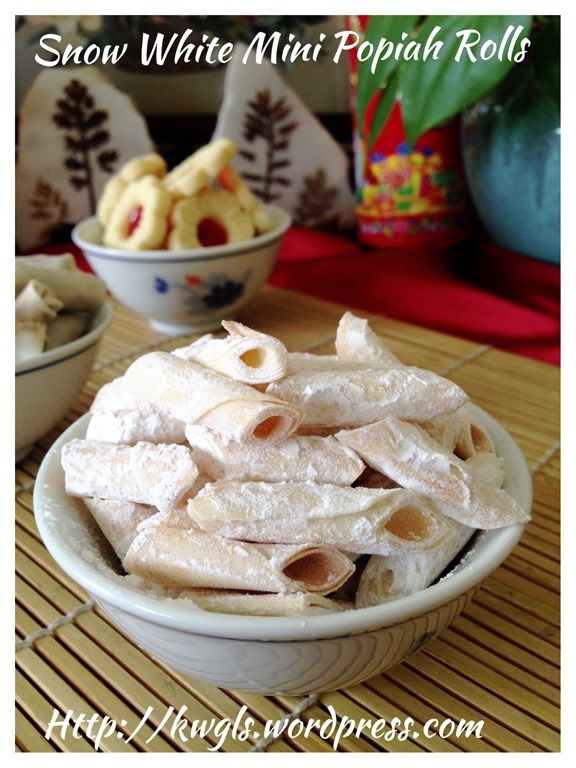 Let it cool completely before storing in an air tight container. 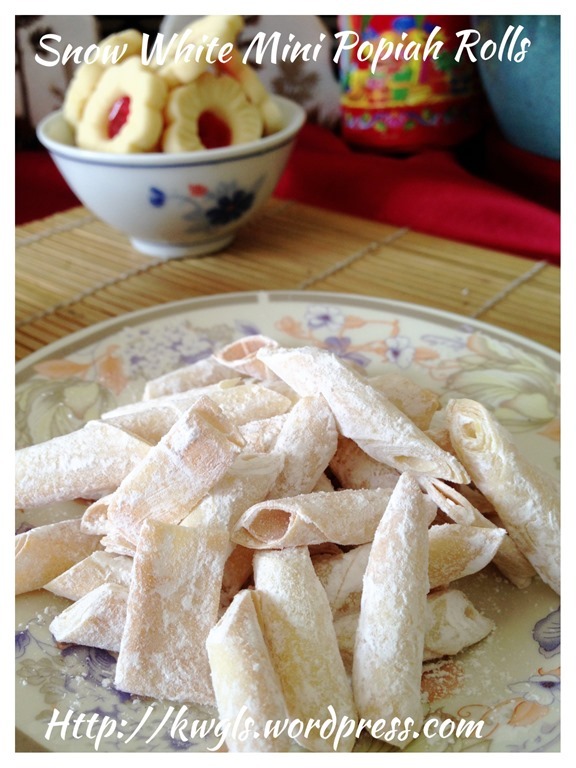 This is a simple recipe and hope all will like it. 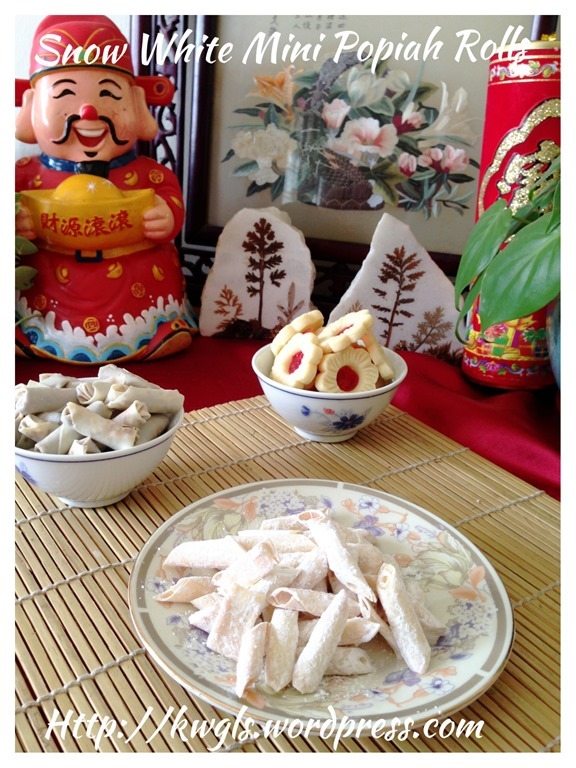 It is definitely a healthier recipe compare to the deep frying version. 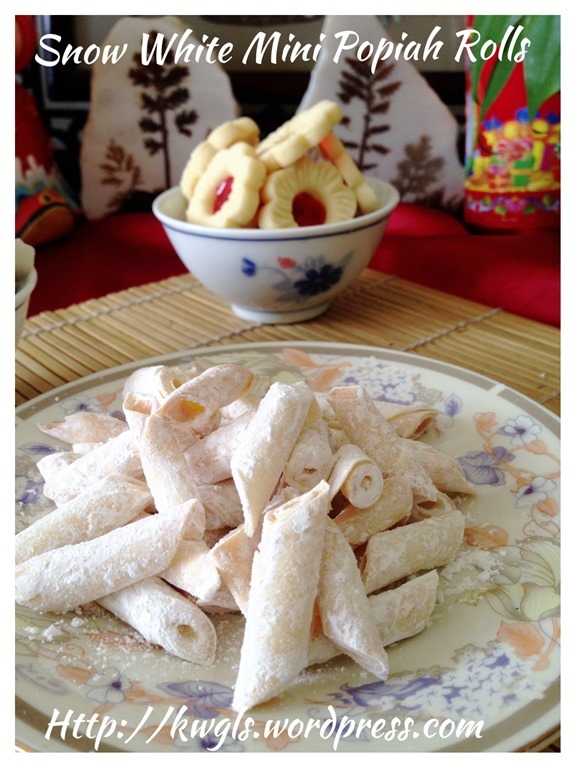 This entry was posted in Cakes and cookies, Chinese New Year 2014, Food Preparation Series and tagged 8, Bamboo stick cookies, GUAI SHU SHU, Guaishushu, kenneth goh, postaday. Bookmark the permalink. 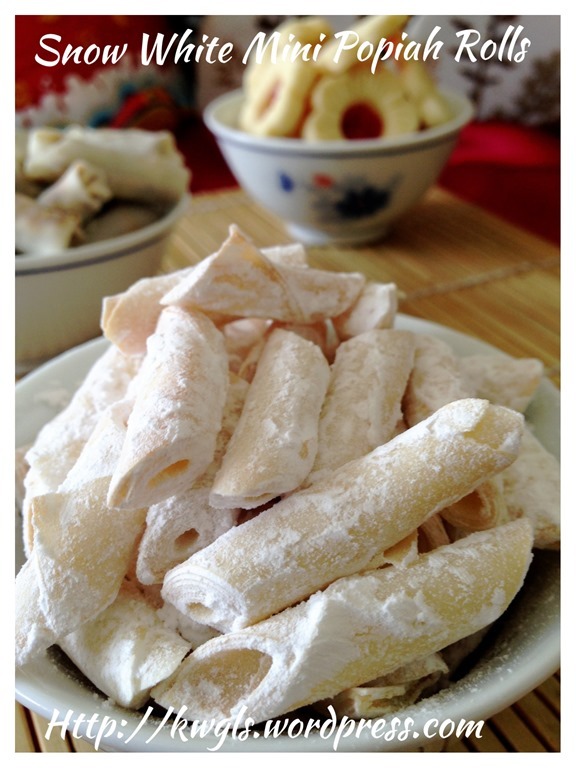 wow.. indeed a fairly simple snack to prepare… suitable for a lazy bummer like me.. heh heh..
Can we brush the spring roll pastry with melted instead of egg white? looks very interesting and a lovely petite snack.